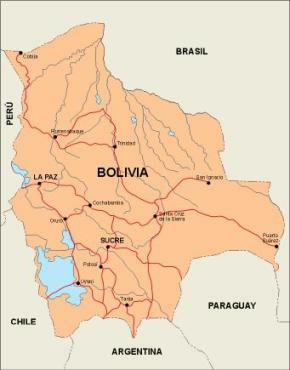 Bolivia, officially known as Plurinational State of Bolivia, is a landlocked country in central South America. 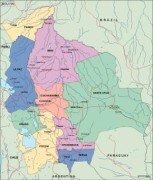 It is the poorest country in South America. It is bordered by Brazil to the north and east, Paraguay and Argentina to the south, Chile by the south west, and Peru by the west. 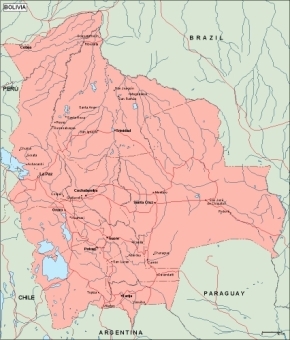 Bolivia is a Democratic Republic that is divided into nine departments. 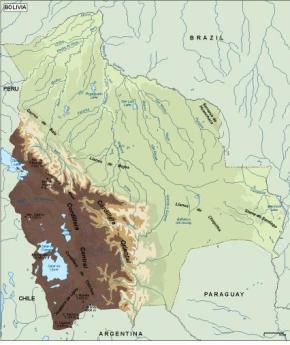 Its geography is varied from the peaks of the Andes in the West, to the Eastern Lowlands, situated within the Amazon Basin. 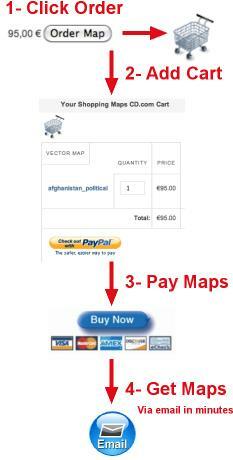 It is a developing country, with a Medium Human Development Index score, and a poverty level around 60%. Its main economic activities include agriculture, forestry, fishing, mining, andmanufacturing goods such as textiles, clothing, refined metals, and refined petroleum. 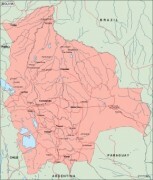 Bolivia is very wealthy in minerals, especially tin. 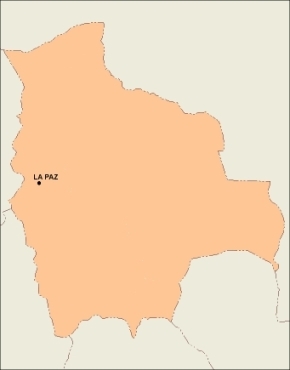 The Bolivian population, estimated at 10 million, is multiethnic, including Amerindians, Mestizos, Europeans, and Africans. The main language spoken is Spanish, although the Aymara and Quechua languages are also common and all three, as well as 34 other indigenous languages, are official. 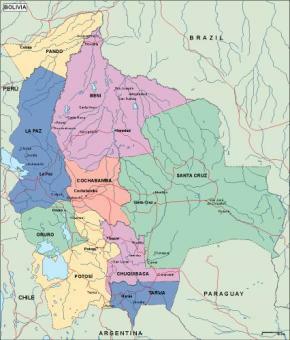 The large number of different cultures within Bolivia has contributed greatly to a wide diversity in fields such as art, cuisine, literature, and music.